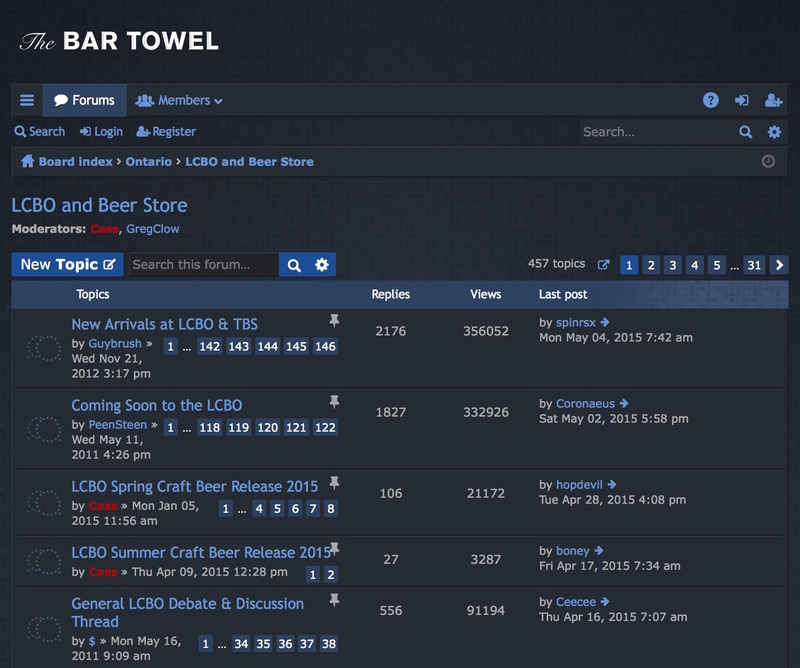 The Bar Towel’s Discussion Forum, home to the most active online beer conversation in Canada, relaunched yesterday with a long-awaited software upgrade, allowing for increased user access and functionality. The Discussion Forum, in existence since 2001, has over the years become an archive of Ontario’s craft beer history, with thousands of conversations about the local beer scene both here and abroad. In the forum there are close to 10,000 conversations and over 140,000 posts and counting about beer (and other related topics). So, if you want to chat about what’s happening with the LCBO or Beer Store, your favourite pubs, most loved or hated beers and breweries, recent beer adventures, upcoming beer events and more, join in on the conversation now. Happy Anniversary, Bar Towel Forum! It was 10 (!) years ago today, June 17th, 2001, that the Bar Towel Discussion Forums went live. The Forum has become the lifeblood of the Bar Towel, and a pulse of the craft beer scene in Ontario. Over the years tons of craft beer news has been broken on the forum (you can listen to a recap of some of the tales from a talk Bar Towel founder Cass Enright did at Beau’s Oktoberfest here) and countless debates and discussion have occurred covering just about everything imaginable in the beer scene in the province, and beyond. There’s over 85,000 posts about beer in that forum, which equates to roughly 23 posts per day over 10 years, which is quite incredible as anyone who was around in the old days would know that we would go days without much happening. But as the craft beer scene in Ontario has taken off in the past few years, with more breweries, beer pubs and events than ever before, as has our collective desire to discuss, debate and celebrate them. And part of that celebration is something very special today. Organized by longtime Bar Towel friend and member Jon Walker (joined July 27, 2001 – his avatar included in this post), he has organized a special Bar Towel Forums Brew Day at Great Lakes today. At the brewery today, Mike Lackey and a few dozen Bar Towel regulars will be brewing a special 10th Anniversary Bar Towel beer, tentatively named CASScadian Dark Ale (with a touch of Belgo added in). You can, of course, read all about it in the discussion forum thread here. Having created this site and forum 10 years ago it is remarkable to see how the beer landscape has evolved and grown in Ontario. We have a great brewing scene and a passionate and dedicated beer community. The Bar Towel is one of the few online discussion forums where you’ll see a such an intermingling of consumer and industry, and I’m very proud of that fact, as it goes to show just how great this beer community is. Here’s to continuing the great thing we’ve got going, and if you haven’t joined in please do. Anyway, a big thank you to everyone who’s posted, contributed, lurked or stopped in at the Discussion Forum over the years, including Greg Clow who has been a co-moderator for many of those years. And of course a huge thank you to Jon Walker and Mike Lackey for generously setting up the 10th Anniversary brew, it is quite an honour. Stay tuned for how the brew turned out and how you can give it a try when it’s ready. In the meantime, join in on the latest in the forum! The Bar Towel loves to travel. What better way to experience great beers from other cities and countries, than to go and visit? And when we visit places we always bring along our trusty GPS to guide us on our beer travels. This way we’re never too far from a good beer spot! So we thought it would be a good idea to share the GPS maps for other Bar Towellers travelling about, if you happen to be heading to one of our past destinations, that is. Below you can download GPX files (within zip archives) of a number of the major beer bars and brewpubs in the respective cities. They are certainly not comprehensive lists, but generally have the most popular pubs and bars. Hope they can help on your travels! 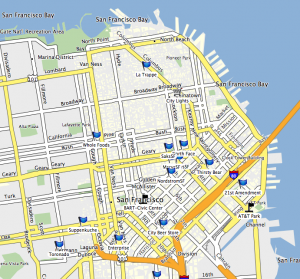 If you have any GPS beer maps that you would like to share, please contribute in the GPS beer map discussion thread. The Bar Towel’s recent bus trip to the Blue Monk in Buffalo, NY, which saw over 50 Ontarians make the trek for beer, was featured today in the Buffalo News. 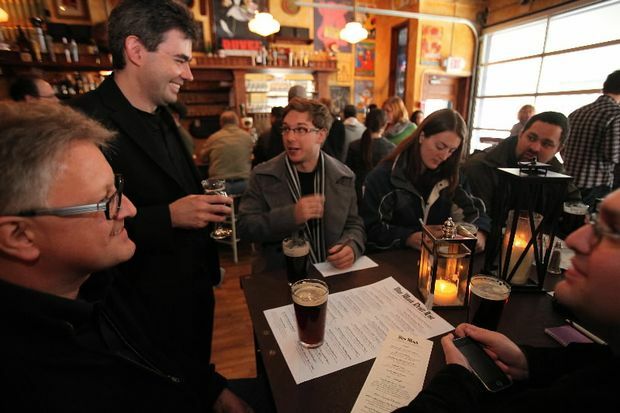 Written by Andrew Z. Galarneau, News Food Writer for the Buffalo News, the article discusses the emerging trend of “beer tourism” in Buffalo due to the desire of Ontario beer drinkers to seek out more than what’s available within our provincial borders. The article also goes on to talk about the lack of American craft beer in Ontario and mentions The Bar Towel’s spinoff initiative FreeOurBeer. The article features quotes from Cass Enright, Bar Towel (and other beer site) regulars Troy Burtch and Harry Heatherington and Blue Monk co-owner Mike Shatzel. You can read the article here or after the break. 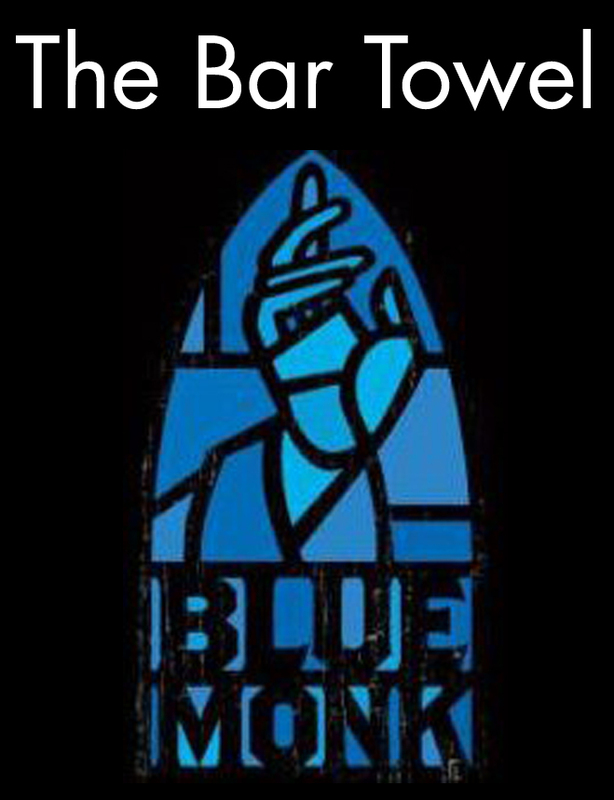 The Bar Towel and The Blue Monk are happy to announce an exclusive day trip to Buffalo! The Blue Monk is a new Belgian-themed bar and restaurant in Elmwood Village in Buffalo, NY. Owned by Mike Shatzel and Kevin Brinkworth, Mike being the great beer guy behind Cole’s (also in Buffalo), the Blue Monk is a new beer destination definitely worth checking out. The Blue Monk has a mouth-watering tap selection – on opening night they had beers from Cantillon, Dogfish Head, Victory, Stone, Great Lakes (the Ohio one), Nogne, Ommegang and others – with more interesting ones arriving all the time. The Blue Monk will be welcoming Torontoians with open arms for this event. For the ticket price ($52.25) you will receive round-trip transport on a coach bus (with washroom! ), lunch and a beer of your choice. 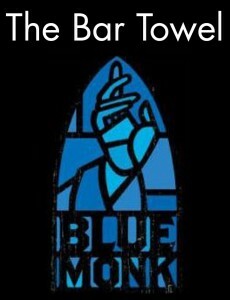 And the Blue Monk will be getting some special beer exclusively for our trip! And everyone’s welcome to wander down the street to Cole’s if you’d like to have a beer there too. We will meet out front of Union Station in Toronto at 10am on Saturday, November 20th. We will leave Buffalo around 8pm to aim to be back in Toronto around 10pm. You can purchase your ticket(s) to for the bus trip online here, or using the big orange button below. Tickets are limited, so purchase yours now! We’ve already sent out our first e-mail newsletter about the latest on The Bar Towel and what’s being talked about in our lively discussion forum, with more coming soon. So, if you’re interested in receiving periodic e-mail updates on what’s happening with The Bar Towel and the beer scene, please register here or using the form below. 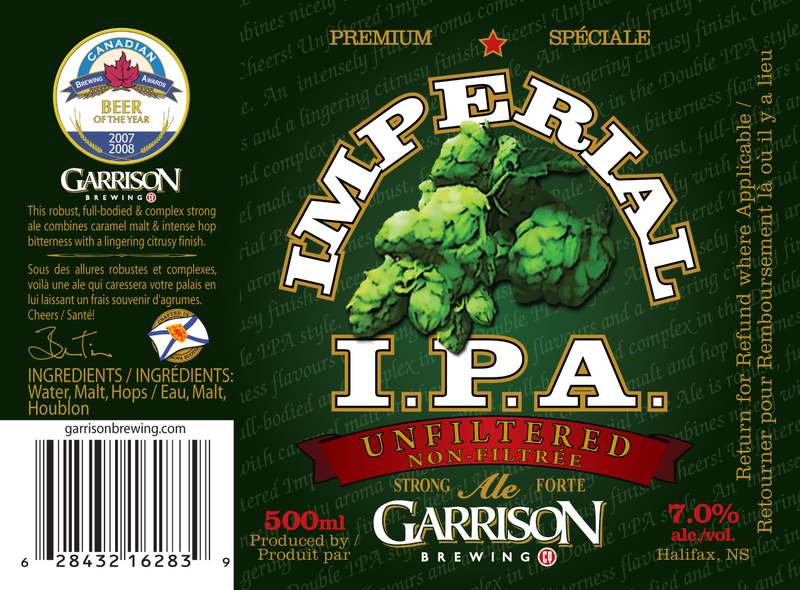 As part of the LCBO’s Autumn Ales beer release, we are thrilled to say that Garrison Imperial I.P.A. from Halifax, Nova Scotia is rolling out to the shelves for purchase. The Bar Towel, through our partner Cecktor Limited, is the agent for Garrison in Ontario and has been documenting the experience of importing through the Free Our Beer project. You can find which LCBO stores currently have stock here. OH HELL YES. Garrison and Propeller are the two “big” microbreweries in Nova Scotia, and are admired and well-respected for good reason. They make great beers. Garrison’s IIPA is incredible, golden brown with huge hops in the aroma, grapefruit mostly, and hints of florals. The flavour is pretty much all hops, though there is a nice malt background, which keeps the hops in balance. As it warms, there are hints of straw that come through the hops. In my notes, I used an obscenity to describe how good this beer is. Just buy it, okay? Local hopheads have been hoping for some time to see this bitter beauty from Nova Scotia on LCBO shelves. Now that it’s here, they won’t be disappointed, as it’s chock full of the aromas and flavours that hop lovers crave – spruce, pine, grapefruit & herbs – but just enough malt sweetness to keep things from getting too out of hand. It’ll be tempting to stock up on this one, but it’s best enjoyed fresh, while the hops are still really popping. Garrison Imperial I.P.A. has started hitting the store shelves this week and will sell for $4.25 per 500 mL bottle. It is joined in this seasonal release by Orval Trappist Ale, Trafalgar Smoked Oatmeal Stout, Hofbräu Oktoberfestbier, Dieu du Ciel! Peche Mortel, Southern Tier Choklat, Belhaven Scottish Stout, Dark Star Espresso Stout, Cannery Brewing Blackberry Porter, Wychwood Wychcraft, Innis & Gunn Limited Edition Highland Cask, Lakes of Muskoka Harvest Ale and Samuel Smith’s Organic Cider. All of the beers should be hitting the store shelves now. P.S. as mentioned above, and for full disclosure, The Bar Towel is behind the importing of this beer. 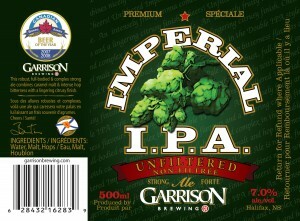 And we can tell you from our dealings with the LCBO that if you want to see more Garrison in Ontario, please buy some. You can find after the break the complete list of LCBO stores that will be receiving Garrison IIPA (plus the other Autumn Ales releases). Just announced! A Kensington Market pub crawl on Thursday Sept 23 as part of Toronto Beer Week, featuring Davey from Beau’s, Jon from Muskoka, and John from Great Lakes. There will be some swag awarded along the way, and lots of great local beer. 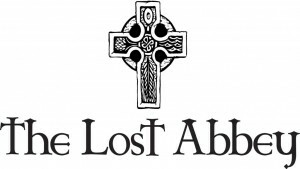 As part of Toronto Beer Week, The Bar Towel is presenting an exclusive Lost Abbey and Port Brewing beer tasting at beerbistro. beerbistro is the only restaurant in Ontario where you will find the beers of Lost Abbey and Port. 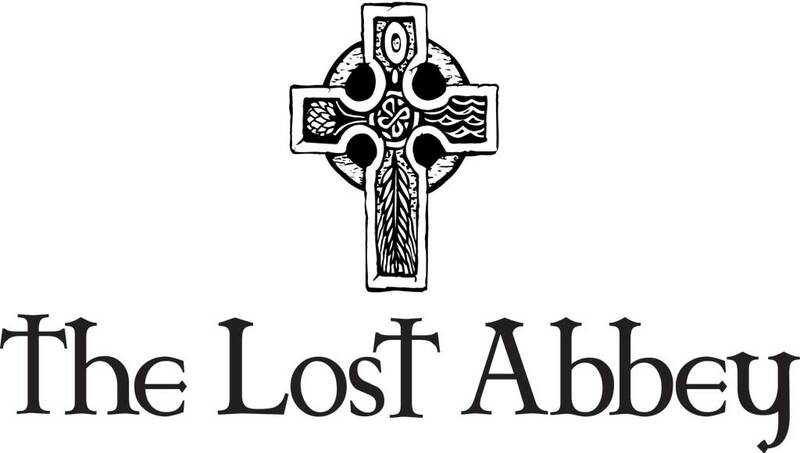 Taking place on Wednesday, September 22nd at 6pm, the tasting will feature 4 Lost Abbey beers (Carnevale, Red Barn, Avant Garde, and Lost and Found) along with Port Old Viscosity and Port Older Viscosity. Brewer Matt Tweedy will be on hand to guide you through the beers, and share his experiences working at the brewery. Cass Enright of The Bar Towel will host the tasting. Tickets are $25 per person which includes all six samples. They are available now by calling beerbistro at 416-861-9872.